Pulse Oximeters are able to quickly and easily measure blood-oxygen saturation levels and the pulse rate of a patient. This is essential information to receive before seeing a doctor. 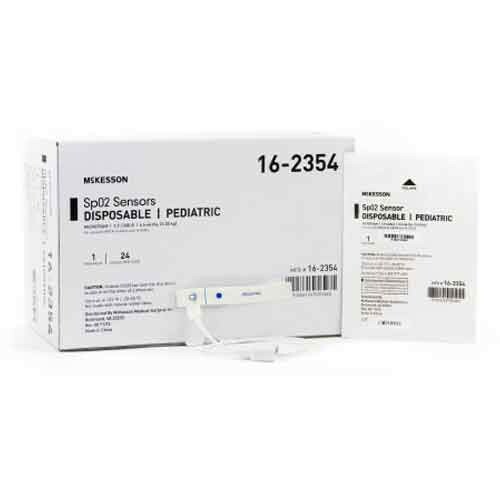 The Disposable Pediatric Infant and Youth Pulse Oximeter by McKesson is a tool meant to quickly and easily measure the SPO2 levels of pediatric patients. 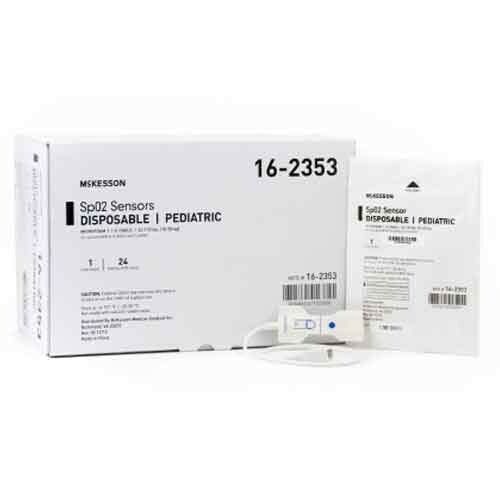 The sensors each have 1.5 foot cables for easy access and handles patients. Usage simply requires placing the disposable microfoam pads on the foot of an infant or the index finger of a youth patient. Both are latex free.